This is time for a Party!!! This is the Giveaway for this month!!! I made it for you...I know...I do this every month! You can win this black and white flower brooch and pearl Necklace! It goes with any color, very classy and not at all baby- ish. Enter a comment. Anyone can do that! Follow me and leave a comment. ( I follow back). Blog about it or post the French Obsession button on your blog. Leave a comment. Share on facebook. (Tools on bottom of post). Leave a comment. Share on twitter. Leave a comment. Lola will choose a number...will be the comment number. LEAVE a comment for each thing you do. Winner announced on Saturday, October 9! Internationals are more than welcome! Link your post, not your blog. Anything French inspired ! Link it back to my blog or display my French Obsession party button. Visit everybody and leave comments! This party gets a lot of traffic in 9 days! I work very hard at advertising it! If you want free traffic! Link up! Simple, yet very pretty. Je l'adore! (Did I do that right? "I love it"? I'm going off my Spanish knowledge of latin-based grammar for this one. :)). Just lovely! It should be mine! Posted on my FaceBook Fan Page, tagged ya in it! I would love to win the necklace and brooch. How gorgeous, Frenchy!!! I have to leave this morning, but I can't find the link to link my blog up for the challenge..so, I will try when I get home, but my post for it is up on my blog! Have a beautiful day! Follow you from Friendly Friday. Hope you have a nice day. I'm a new follower from Friendly Friday Follow. I would love it if you could stop by my blog as well! I hope you have a great Friday! Wow - you do a giveaway a month - you are very busy! This is so cute, if i win i will have to flaunt it in front of my French friend! The necklace and brooch are gorgeous! LOVELY Giveaway, Love the necklace especially. Thanks Frenchy!! Your button is on my post link! Oh, I love your necklace! I am now following you. Hello, that necklace is gorgeous! Follow you form Fun Follow Friday. I would appreciate it if you could stop by and follow back! Following you from Friendly Friday...I meant to say. I'm loving the necklace, and your blog. Following your blog now, "liked" your facebook page, your button is on my blog - jonisthings.blogspot.com. 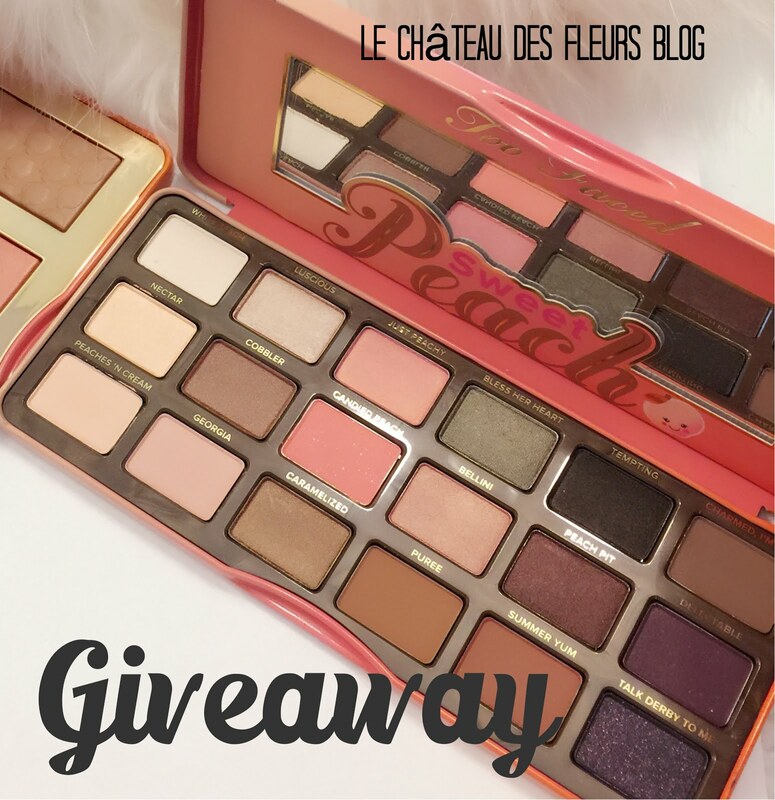 Great ..giveaway Frenchy, please enter me to win! I am a follower, Frenchy! I so enjoy visiting your blog! I just love it and have chosen you to receive the "ONE LOVELY BLOG AWARD!" I was honored with the award, and now I want to pass it on to you! Thank you for having such an interesting and beautiful blog! Good evening! What a very lovely giveaway, the brooch and necklace are fabulous! I am a follower here and on facebook! I am a follower for sure. Abundance yeah, seems to not have a french post up. What a lovely creation you have made for one lucky person!!! this is such an adorable necklace! Ooh how lovely your giveaway is - tres chic!! Goes without saying - I'm one of your followers! Your French Obsession linky on my blog too. Merci for three chances ma cherie! What a beautiful necklace! Once again taken aback by your creativity!! This is beautiful and would go well with my black and white wardrobe. I love your pretties! I already follow you on Google Reader! I look forward to your posts! I am now a follower on Facebook and I posted a link to this Giveaway! Okay two comments for that. I posted a link on facebook! a facebook fan of yours too!! I'm your newest follower from a blog hop. Come stop by Punky Monkeys, maybe you will want to follow back?!??! Beautiful!! New to your blog and love it! I have nothing french to share yet but I do like seeing everyone elses!! Hope your weekend is going fabulous- don't know the french word for that! I'm a little late, but I have posted something that has a connection to French history and culture, as well as to Swedish history. It's not very personal this time. Next month, November first, is a special day for me. I will post a story about a person very close to my heart. You have a wonderful blog, Frenchy! Thank you so much for inviting me to join this great party! I think I might link up another post I did on Toile de Jouy...totally French! I have followed your blog for some time...ever since I found it. I linked my GIVEAWAY... merci beaucoup for letting me know about linking... let me know when you do this again... I will participate! What a fun linky party! Just found you & am so excited. I have done a number of pieces that were french inspired (I do furniture). Thanks for having me! Thanks for inviting me to your party! I look forward to looking at the other entries. Also I see some people are using old posts, and posts that have nothing at all french about them. Hi Susan....Old posts are OK. The posts that are not French...Not OK. I don't delete people because some are not used to link and make errors. I'm a follower of your blog on Google Friend Connect. Not just because of the Giveaway! Looking at your cakes have made me SO hungry! The giveaway is now closed....Thank you!